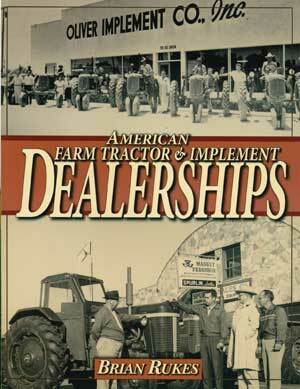 The history of how tractor and implement dealerships came into existence is the main focus of this nearly 200-page full color book by author Brian Rukes. From the earliest days of sulky plows and blacksmith’s shops, to the 1910s and 20s when farm related dealerships started sprouting up everywhere – Rukes does an excellent job of sussing out the hows, whens, and whys of it all. Perhaps the most fascinating are all of the old photographs of both dealerships and advertising materials and the ways they were used to draw attention to a dealer or to new equipment. This book originally sold for $25, now through the N-News as a remainder book, only $7.85.